AppyBuilder is a commercial version of MIT App Inventor that, for a monthly subscription fee, provides access to many additional components and features. Some of these features include monetization services that work with advertising networks to display ads with your apps, plus unique features like SQL Lite and the Android Material Design user interface. You can also add in-app purchases. 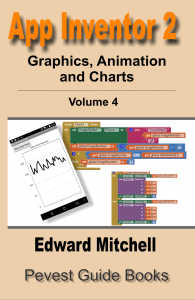 There is also a free version that operates similar to MIT App Inventor. You can set up your free account at the Appy Builder web site or sign up for a subscription account with added features. 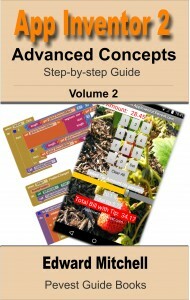 AppyBuilder is based on MIT App Inventor – if you know how to use App Inventor, you’ll find AppyBuilder very easy to use. The company behind AppBuilder also does custom app development and mobile web site development. Click on their “Tell me more” button, and then page down to see the description of features and services, and subscription options. I’ve played a bit with the “free” version but I could see buying a monthly subscription to access several of their enhanced features. Their lead architect also has a blog including this tutorial on how to use their components to access the web, camera and upload photos to a server using App Builder. Students should write applications in either Scratch or MIT App Inventor and submit their entries to the contest by 31 July 2016. And yes, there are prizes! Early in 2015, FIRST announced that the First Tech Challenge (FTC) robotics platform would be powered by the Qualcomm Snapdragon processor (the same processor used in most Android phones). Starting with the Fall 2015 FTC competition, students can now control the robot using App Inventor. 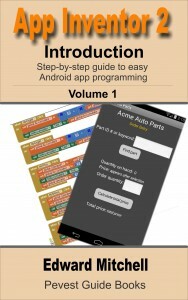 (Go here and page down to App Inventor Download and Resources and follow that link). 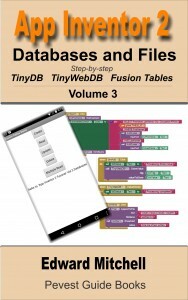 FTC uses a version of App Inventor that is installed on a local computer rather than running over the Internet, as we do with MIT App Inventor. I am in my 8th year of volunteering as an engineering mentor to high school robotics teams. I am currently a volunteer with Glencoe High School’s Team #4488 “Shockwave” team where I am the lead mentor for Apps Software. Our team is a student-led team. The students make the design choices and implement the solutions. The mentors assist with technical and management training and specialized learning. Our team, like many FIRST teams, is run similar to a business with separate sub-teams not only for robotics (mechanical, electrical, robot programming, CAD) but also other functions (marketing, business, strategy, web and applications software, graphic design) and even an animation team. Our applications team produces support software for the entire team by creating custom tablet apps and Windows applications software that assist in various information collection, analysis and processing functions. Last year, the team also created a robotics game that is available in the Google Play store. There are many opportunities for volunteering – from technical engineering to business and marketing, graphic and art design, wood and metal working, CAD, and teaching. Visit usfirst.org to learn more! Estructurado en 8 módulos y con más de 146 clases este curso es ideal para aquellas personas que, sin tener idea de programación, quieren tener un curso completo de App Inventor paso a paso y basado en la metodología de aprender haciendo.